Make no qualms about it, Disney’s animation department are undoubtedly bathing in the deserved success and glow of a second renaissance period following on from the recent critical, box office and artistic successes of Tangled, Wreck-It Ralph and now the beautiful and vintage Frozen. Picking up the reigns from their creative partners at Pixar, whose output has been a touch more inconsistent recently with the disappointing and muddled Cars 2 and Brave, the house of Mouse has masterfully managed to strike the zeitgeist with their latest release, harmonising elements of classical Disney Princess convention with some of Tangled and Wreck-It Ralph’s vim and sass and proudly crafting the tale as a big, Broadway-beating musical to boot, as old Uncle Walt himself would have wanted it. The result of a decade-long attempt by the studio to get the classical tale of Hans Christian Anderson’s The Snow Queen into their roster of fairytale adaptations, Frozen is big, beautiful Disney storytelling at it’s most enchanting and classical. 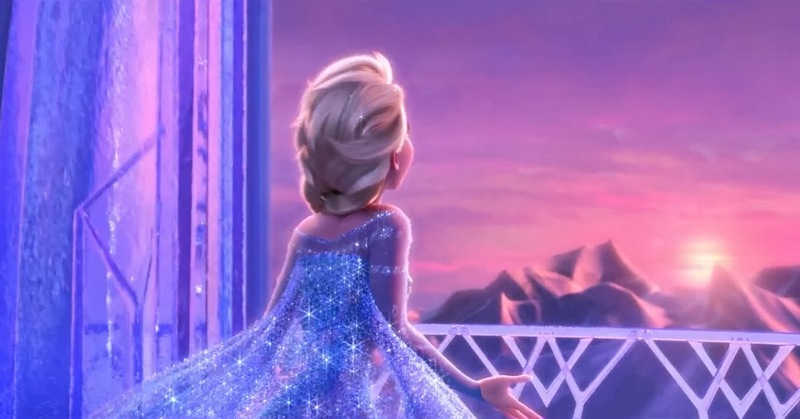 It depicts the story of princesses Anna (Kristen Bell) and Elsa (Idina Menzel) who are forced to live their lives separately after a childhood near-tragedy exposes the danger behind Elsa’s wintery sorcerous powers. When these powers once again erupt in adulthood, Elsa exiles herself into the wilderness (not only one of the films standout scenes but one of the most beautiful and ethereal sequences of the entire Disney back catalogue) unknowingly leaving her kingdom blanketed in an eternal winter. 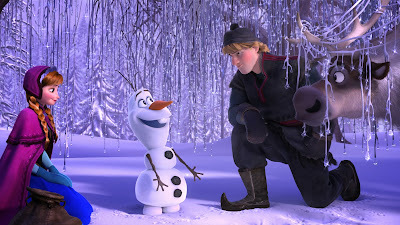 Anna sets out to find her sister in the hopes of freeing their kingdom, aided by rugged mountain man Kristoff (Jonathan Groff), his trusty Reindeer Sven (who bears more than a passing similarity to Tangled’s Maximus) and scene-stealing miniature snowman Olaf (Josh Gad) who has been brought to life by Elsa’s powers. 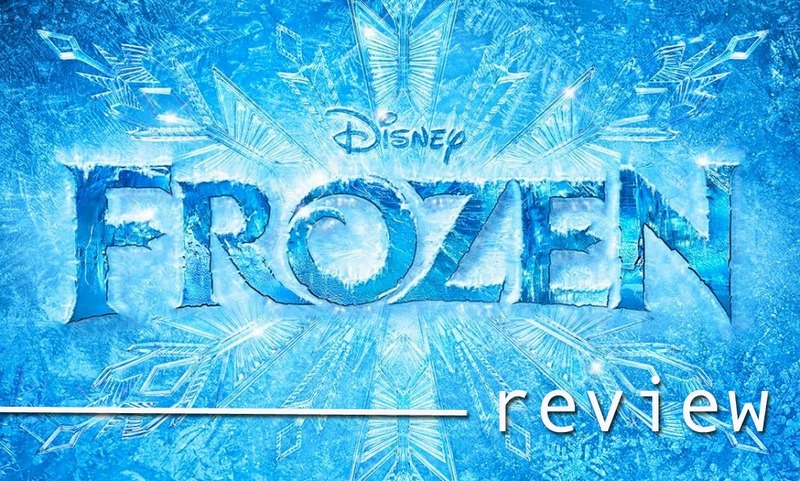 Frozen nips and borrows from a whole plethora of familiar Disney storytelling tropes and ideas, and re-assuringly very definitely feels like old school and renaissance Disney all at once, but fundamentally works so well as it tells a thoroughly human tale with extremely likable and engaging leads. Anna is a peppy, somewhat naive yet resourceful and spirited Princess in the vein of some of the studios more recent heroines (Rapunzel in particular) whilst Elsa carries the burden of her ‘curse’ (though the film somewhat disappointingly offers no explanation whatsoever for the cause of her being born with such powers) and is a more forlorn, burdened and borderline tragic figure throughout. It’s a neat contrast, and the sisters are dissimilar yet close enough to make their plight and relationship an empathetic and involving one. Disney rarely busies their films by offering such an even and involved protagonist split, but Frozen certainly feels like a more rounded and mature by so successfully implementing the ‘two sides of the same coin’ notion, and it is a welcome change to see sibling love take front and centre over traditional romance. Similarly, Frozen really allows itself to get lost in its own world and story, and doesn’t lean too heavily on tongue-in-cheek, knowing or satirical humour as seems to have plagued the animation medium of late. The only real exception to this is Olaf, who is sprung straight out of the ‘comedic sidekick’ mould that Tangled and Ralph were able to avoid indulging in too overtly, though Olaf thankfully remains an entertaining and endearing creation aided by some witty writing, Gad’s enthused performance and a wonderfully ironic solo number. 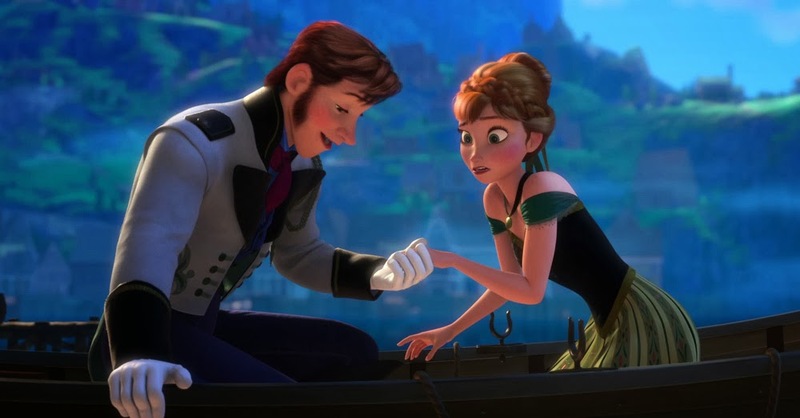 The film also offers a fairly conventional approach to the two love interests in the form of dashing neighbouring Prince Hans (Santino Fontana) and the aforementioned Kristoff, though some of the narrative choices and developments with these characters does manage to poke some fun at some of the more traditional Disney-esque motifs, with ‘love at first sight’ proving a particular ripe target. As mentioned, Frozen is fundamentally and inarguably a big, sweeping movie musical, and whereas Tangled offered a very stop-start and somewhat derivative approach to its Alan Menken-Stephen Schwartz soundtrack, and Wreck-It Ralph understandably passed on the showtunes completely, Frozen’s numbers offer far more in the way of character and progression and are more organically interwoven into the story being told. Broadway songwriter-composer Robert Lopez (who penned music for such major shows as Avenue Q and The Book of Mormon) and partner Kristen Anderson-Lopez offer a soundtrack that, as is true of the film as a whole, harkens back to classical Disney, offers shades of its early 90’s renaissance whilst still managing to feel profoundly contemporary and characterful in it’s own right. The duo’s Broadway experience can be felt throughout, particularly in such numbers as Idina Menzel’s triumphant show-stopper ‘Let It Go’ and the inherent storytelling theatricality of ‘Do You Want to Build a Snowman?’ and ‘For the First Time in Foever’. Some of the numbers fall a bit flat, such as the overly pop ‘Love is an Open Door’ (though this is leant some extra relevance later on in the film) and the somewhat forgettable ‘Fixer Upper’ sung by a bizarre troll tribe somewhat shoe-horned in as an attempt at an upbeat Disney showtune a la ‘Hakuna Matata’, ‘Be Our Guest’, ‘Under the Sea’ etc. but these are inoffensive exceptions to a mostly successful score and soundtrack. 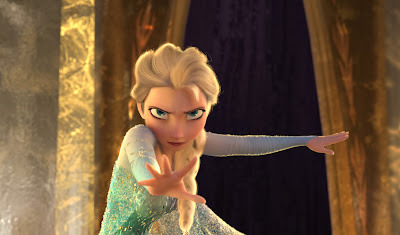 It should almost go without saying that Frozen is a stunning achievement from an artistic and technical standpoint. From familiar and distinctly Disney character designs to stunning environments that tread a careful but imaginative balance between realistic and fairytale, Frozen is also aided by its distinctive wintery theming that lends itself well to a cohesive and truly stunning film, offering undoubtedly one of the finest-looking animated movies of all time. There are sequences of almost breathless beauty and storyboarding invention that round out the sensory delight that Frozen offers in abundance. Disney’s final coup for the film comes in its scheduling, for it is difficult to imagine a more perfect moviegoing experience for the family this Christmas. Disney enthusiasts and the young will naturally find themselves more inclined to the experience, but Frozen deserves a healthy chunk of the holiday moviegoing market for, like its predecessors, it is a beautifully made, extremely entertaining and confident reminder of why Disney remain the premier animation powerhouse in the world. Long may their latest renaissance continue. Press access for this screening of Frozen was provided by Walt Disney Motion Picture Studios UK. (A)musings Media gratefully acknowledges their generous invitation.